Neurodiversity, Individuality, and Opportunities for Life: 360 Support, Best Practices, and Shared Synergies. 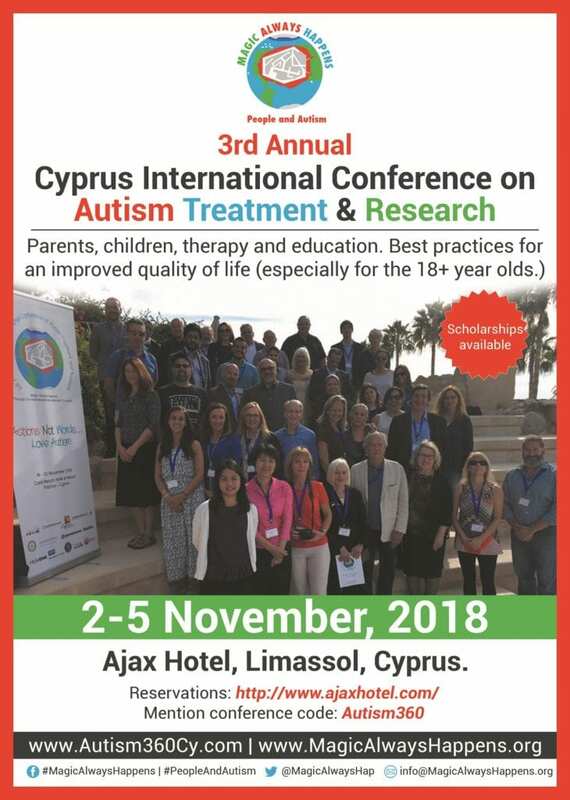 IBCCES is proud to partner with Magic Always Happens as they host the 3rd Annual Cyprus International Conference on Autism Treatment and Research Nov 2-5, 2018. The conference aims to bring together experts and luminaries from transdisciplinary scientific research, as well as from applied fields including academicians, psychologists, physicians, geneticists, speech therapists, civil engineers, architects, economists, law, technology, and other subject matter experts. Together, we shall all discuss best practices and suggest ideal ways of working with, treating, educating, building for, and sustaining quality centers for autism excellence. Actions need to follow words if we are to render effective and efficient solutions, thus, allowing all people on the spectrum to enjoy a better quality of life and a brighter future. 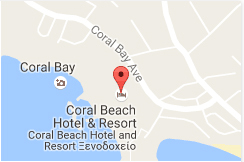 Our conference will integrate plenary sessions, workgroups, and poster sessions. Following the conclusion of the conference works an expert think tank will offer specific feedback and consultation. Welcome to our 2nd Annual Cyprus International Conference on Autism Treatment and Research entitled Magic Always Happens through our interdisciplinary approach to autism! We are very excited to inform you that this conference taking place in Limassol, Cyprus, Nov 2-5, 2018. Our conference has a true “360 degrees” approach and it aims to bring together experts and luminaries from transdisciplinary scientific research, as well as from applied fields including academicians, psychologists, physicians, geneticists, speech therapists, civil engineers, architects, economists, law, technology, and other subject matter experts. Together, we shall all discuss best practices and suggest ideal ways of working with, treating, educating, building for, and sustaining quality centers for autism excellence. Actions need to follow words if we are to render effective and efficient solutions, thus, allowing all people on the spectrum to enjoy a better quality of life and a brighter future. For full conference Agenda Please Click Here. At the International Board of Credentialing and Continuing Education Standards (IBCCES) we establish industry standards and govern credentialing programs used by professionals in the fields of healthcare and education. In 2001, IBCCES first established the industry standards for a Certified Autism Specialist. 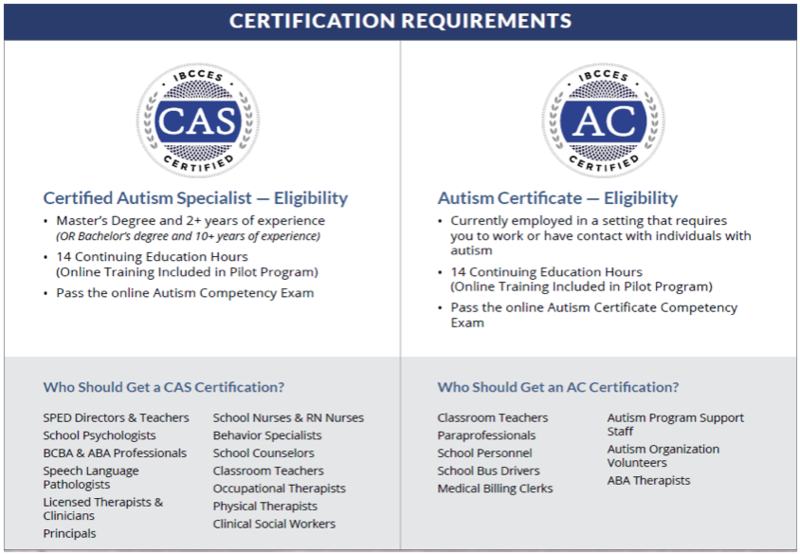 Our industry leading standards are now used by organizations all over the world to ensure the highest quality of care and training for professionals in the field of Autism. Our board of professionals, including BCBAs, researchers from leading universities, state level Special Education Directors, as well as clinicians in the fields of mental health, Speech and Language Pathology, School Psychology, Occupational Therapy, and parents, reviews and updates these standards each year to ensure they reflect the latest research and comply with current laws and regulations for professionals in the field of Autism. IBCCES also works with insurance providers in writing policy guidelines for autism treatment coverage and autism insurance reform. We partner with state licensing boards, universities and other national organizations to ensure their programs are aligned with the stringent requirements of our certification. Our online auditing system tracks approved providers as well as a variety of compliance requirements including continuing education status, associated disciplinary actions and more. Our mission is to establish and expand local and national awareness and services regarding autism, focusing on increasing education, research, networking, collaboration, diagnosis, therapy, psychotherapy, and treatment and other assistance to people of all ages on the autism spectrum, including other people with special needs, disabilities, or other physical, or mental health disorders and/or diseases. Contact us to learn more about IBCCES and our autism training and certification programs.